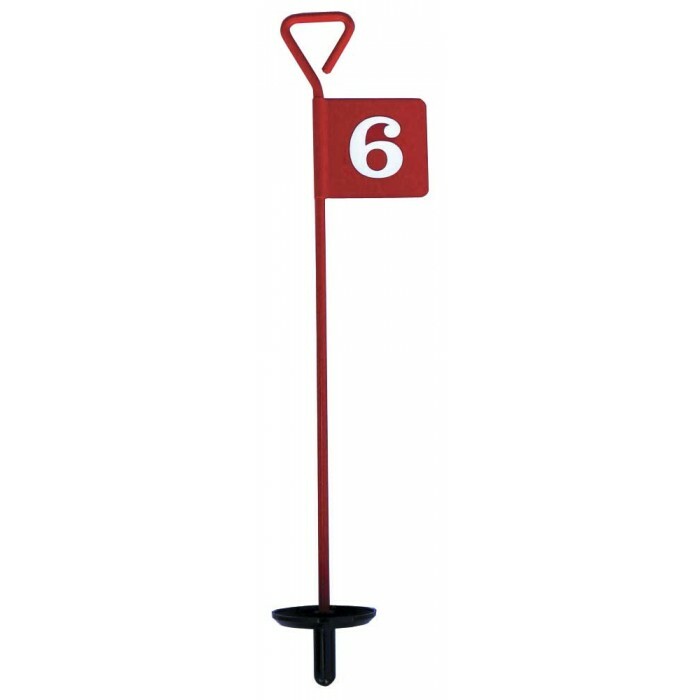 Made from aluminium these 2 ft tall Putting Green Pins can be supplied plain, numbered or with logo (numbers and logo are on both sides). Standard colour is red with white number, but other colours are available. Plastic lifter dish supplied as standard. Can be supplied without dish for pushing into the ground - contact us if this is required. All CMW Putting Green Pins fit best with UK sized holecups - See Product code D-05-01 or D-22-01.